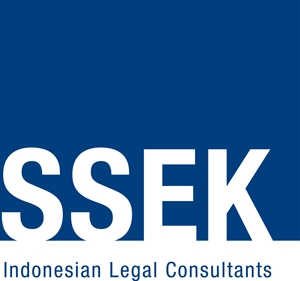 Indonesia’s Minister of Law and Human Rights ("MOLHR") issued a regulation at the end of 2018 that sets technical and administrative procedures for obtaining patent protection in Indonesia and accommodates applications for patent protection under the Patent Cooperation Treaty (“PCT”). MOLHR Regulation Number 38 of 2018 regarding Patent Applications (“Regulation 38/2018”) was issued on December 19, 2018. It implements provisions under Law No. 13 of 2016 regarding Patents (the “Patent Law”). Regulation 38/2018 is the first regulation in Indonesia to addresses technical procedures for patent applications under the PCT, which Indonesia ratified in 1997. The PCT facilitates the obtainment of patent protection in 152 PCT contracting states. Applicants are initially only required to file a single patent application in one of the contracting states. After that initial patent application, applicants have 30 months to file subsequent applications in other contracting states. These subsequent applications will be treated as if they were filed on the date of the initial application. Hence, any other invention filed or disclosed after the initial filing date will not affect the patentability of the applicant's invention. Article 38 of Regulation 38/2018 provides that Indonesian citizens or legal entities and/or foreign citizens or legal entities domiciled in Indonesia may submit a PCT application to the MOLHR through the Directorate General of Intellectual Property Rights. Applicants are required to fill out and submit an application form together with information regarding their invention such as the title, description, claim, and abstract. Complete applications will be given a filing date, which can then be used in other PCT contracting states as the date for subsequent patent applications during the 30-month period. The Indonesian MOLHR will transmit the application documents to an International Searching Authority ("ISA") selected by the applicant. Eighteen months after the initial filing date, the selected ISA will issue a report and an opinion on the patentability of the applicant's invention. The report and opinion will provide applicants with insights regarding the patentability of their invention in the PCT contracting states. The ISA will search for relevant prior inventions that may affect the patentability of the invention submitted by the applicant and the result of the search will be published in the form of an International Search Report containing a list of references of relevant published patent documents and technical journals. The ISA will also issue a Written Opinion, which is a preliminary non-binding opinion on the inventiveness, novelty and industrial applicability of the invention. Applicants may also choose to conduct a Supplementary International Search and International Preliminary Examination to obtain more insight on the patentability of their invention and then amend their invention. The reports and opinions issued from the searches and examination will be given to the applicant and transmitted to each designated patent office. The 30-month period and the reports and opinions issued by the relevant authorities will assist applicants in selecting states with a higher probability of granting a patent. Before the end of the 30-month period, applicants will have to submit a national patent application to each of the designated states. Regulation 38/2018 sets out the procedures for applicants who wish to apply in Indonesia after filing an initial PCT application in another PCT contracting state. According to Article 44 of Regulation 38/2018, applicants may apply no later than 31 months after the initial filing date by submitting the application form and details of the invention to the MOLHR. The MOLHR will review the inventiveness, novelty and industrial applicability of the invention by referring to the reports and opinions issued by the authorities, as well as the relevant patent documents in Indonesia. If the application is approved, the MOLHR shall notify the applicant in writing of such approval and issue a Patent Certificate. Regulation 38/2018 allows applicants from Indonesia to enjoy the features provided under the PCT. This regulation, together with the PCT and the Patent Law, gives applicants additional time to decide whether they wish to seek protection in other states and to prepare applications in each state. Further, the International Search Report and Written Opinion from the ISA, as well as the Supplementary International Search Report and the International Preliminary Examination Report, should provide a strong basis for national patent offices to grant patents.